Helen Neubauer donated six handmade quilts to pediatric patients at Children’s Hospital at Erlanger. This is her second quilt donation to Erlanger, and she plans to continue to support the hospital with more. In fall 2018, Ms. Neubauer and her husband donated nine quilts. 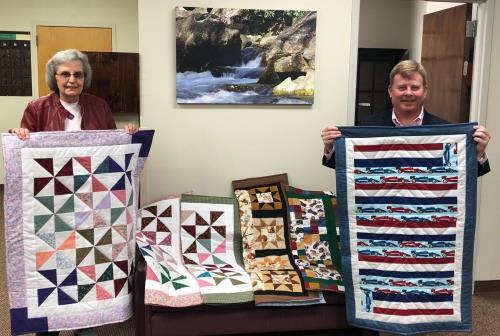 Previously, she and her mother donated quilts to St. Jude Children’s Research Hospital, but when Murphy Medical Center (now Erlanger Western Carolina Hospital) joined Erlanger, she was inspired to create some for the local children’s hospital.